The 2005 Focus Wagon got a pair of new rear shocks installed this afternoon. 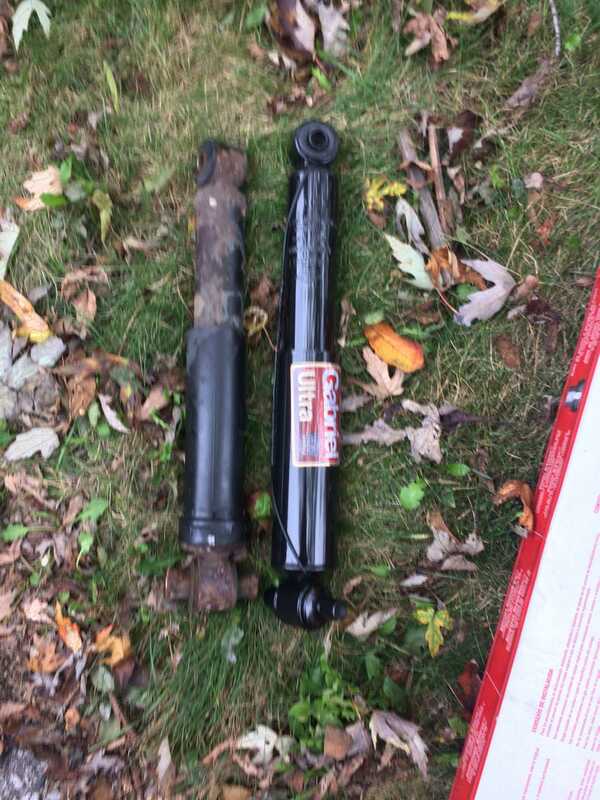 I think the shocks that came off were original. It took a little longer than expected as the bolts were somewhat rusty. Nothing a little WD40 and socket wrench extension couldn’t fix. And I also got lucky... it started to rain just as I finished up.